Amid the Windows 7 launch event came the announcement that Sky Player will be an integrated part of Windows Media Center in the OS. With the launch of Sky Player on Xbox scheduled for next week, greater integration was always likely and a more intuitive application through Windows Media Centre will boost the streaming service from the broadcaster. Sky Player will allow current subscribers to view live streamed channels and on demand television through their PC although the download service is not in place as yet. Non-subscribers will be able to upgrade to an online-only (or full satellite) account with access, with the right package, to premium content. "We are committed to giving our customers more choice and flexibility in how they access Sky content," said Sky's Director of On Demand Griff Parry. 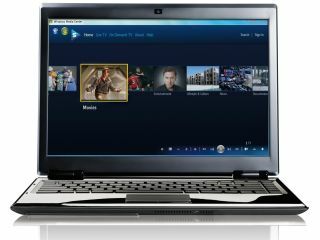 "Sky Player in Windows 7 offers yet another innovative and attractive way through which to access a wide range of live and on-demand TV. "Whether it's an existing customer looking to get even more from their Sky subscription, or someone connecting with Sky for the first time through their PC, everyone can enjoy a high-quality online TV experience through Windows 7." Although the service has not been given a firm launch date, Sky told TechRadar that it would definitely be in place by the end of the year, and we'd speculate that with the build already all but done it will probably make the first half of November. "We were aiming for it to be ready for the Windows 7 launch," explained Parry to TechRadar. "But we just want that bit of extra time to make sure it's absolutely perfect." Microsoft UK's Ashley Highfield, Managing Director and Vice President Consumer & Online believes that the inclusion of Sky Player in Windows 7 is a great example of giving customers what they want. "The way UK consumers interact with TV is changing. Audiences now want to consume great quality TV anywhere and at any time and are demanding a lot more from their TV experience. With the launch of Windows 7 and through partners such as Sky, we are making new things possible and delivering TV to British viewers the way they want it." The service is only carrying standard definition pictures at the current time, but HD is something that both Sky and Microsoft are striving for – when a consistent service can be offered. "Plenty of people claim to have an HD offering online, but there are good quality HD experiences and bad ones and we believe that we are for the best. "So it would be inconsistent and confused if I claimed we could provide HD here when it wouldn't be up to scratch versus the set top boxes." "It's a constant thing to improve the consistency of the picture and there will be improvements to the service early next year, for example. "The question is, at what point will we brand it HD? We'll wait until it's absolutely perfect before we do that." Sky subscribers with multiroom or the top broadband package the Sky Player is part of the package and you can watch the streamed television on your computers. For Sky subscribers without multiroom or the top broadband an extra fee will be payable in order to get access to all of your content. That fee is going to drop to £5 ahead of the launch. For non-Sky subscribers, you will need to buy a package to access the non-free content – although you need not get a satellite dish installed. The package prices are in line with the equivalent satellite services. This is just a part of TechRadar's massive Windows 7 week - you can check out even more content on our dedicated Windows 7 Week page.